Lots of children playing, and sounds of laughter filled the fun packed Christmas party at Pitsmoor Adventure Playground. The lovely colourful cake went down a treat! 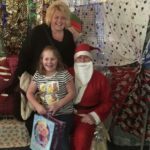 Santa was the main attraction – queues of children excitedly waited to see the jolly old soul. Presents were provided by Hallam FM and our own local Tesco Extra. I watched children’s eyes light up while opening their presents. I saw so many happy faces that day; it has placed a happy memory in my mind. I could see that a great deal of effort went into making sure the children had a wonderful Christmas. 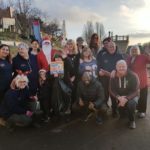 Well done staff and volunteers of Pitsmoor Adventure playground!